When I walk in Forever Boutique, I know I'm going for a treat. For myself and my skin and in this grey weather, anything that makes your mind, your day (or skin) a little brighter is well welcomed. Sometimes, it's needed. After an extended summer and three trips to the UAE, my skin more than ever, needs some real peeling treatments. How difficult it is to regroup all you like in a few boxes? I did the exercice for Marie Claire Arabia, December 2018 issue with the beautiful Nadine Nassim Njeim as a cover star. 1) L'atelier Nawbar - I often wear black and statement piece jewelry are my jam. Particularly this one from the Cosmic Love collection that you can stack up with other necklaces. What I also love about L'Atelier Nawbar is that you can personalize it and make it your very own with an unique meaning. They make a necklace close to your heart and not only physically. 2) Cheyma is an emerging designer based in Paris and her collections comes from another world. The world she imagines would be amazing to live in and when I wear one of her items, I feel like travelling. Could we ask more from fashion? 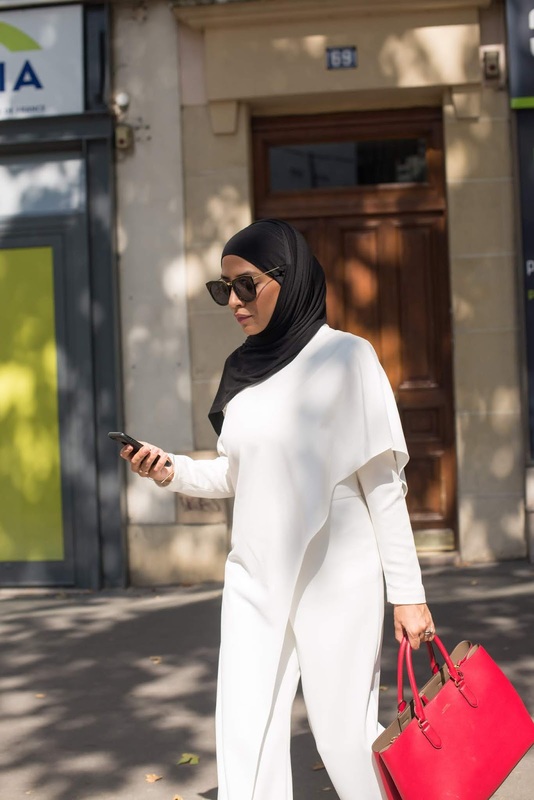 3) Celine bags are instant wardrobe elevators and if you own one, you probably have a razor shape taste and you don't need much more really to make an outfit. 4) Elie Saab oversized sunglasses - at the SS19 show of Elie Saab, amongst the display of sheer fabrics and beautiful prints, I also fell in love with the oversized sunglasses that I wouldn't mind wearing all year long. 5) How to win friends and Influence people Dale Carnegie - I always feel sceptical about personal development book but this one is a life changing one... if you actually finish it. 6) Valentino - It is not difficult to fall in love with the latest Couture show of Valentino and if the collection brought a tear to Mr Valentino itself, it brought me the strongest fashion emotions as well. His collection was about being dressed beautifully and courageously and I can only relate to it. 7) Tunisia - I might not be the most impartial person to talk about Tunisia as it's the land of my parents and my favorite country to visit during the summer. More than the roots, I love the smell of Jasmin, the old Mosque of Kairouan, the clear water, the spicy food, Carthage, Sidi Bou Said and I even love the messy driving: definetly not impartial but everyone I know that visited, fell in love with it, each with different things. 8) Dior Addict Lip Glow reviving lip balm Coral 04 - most of the time, I only wear mascara, a bit of blush and lipstick and if I really don't have the time or having make-up free days, I will only wear lipstick, sunscreen cream and big sunglasses and I will be ready for the day. I always have in my bag a magic lipstick that gives a pinkish-red that is not too strong but will still give a pop to the face. A special thanks to Jessica Bounni for the feature. Sometimes for a beautiful skin, you only need a nap and a good skin routine.. and sometimes it just needs more. 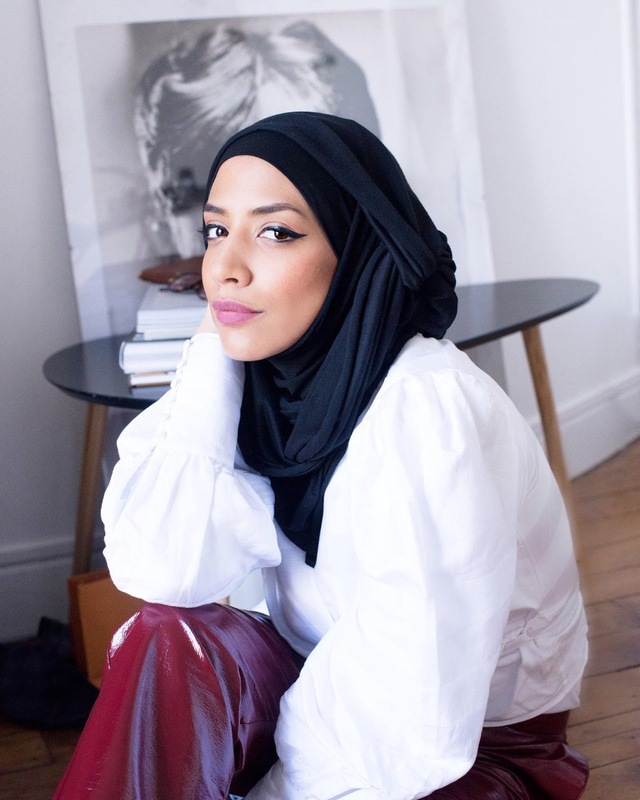 It hit me shortly after Ramadan and Eid festivities: I realized my skin was screaming thirsty and it's no surprise that with an eating, drinking and sleeping schedule that changes from one day to another, the body and the skin have a hard time to follow-up. Gladly, my childhood friend Aïcha, who works at an Institut made an appointment for me at the Forever Institut in Geneva to try out the "mesolift". No, it's not a traditional japanese soup that you eat on a lift (that is what I imagined when I let my mind wander), it is a non-surgical cosmetic medicine treatment focused on the face but not only. The mesotherapy employs injections of pharmaceutical and homeopathic medications, plant extracts, vitamins, and other ingredients into hypoderm. Exactly, 2 mm under the skin. When I got introduced to Forever Institut, I didn't know that it was a family business and I discovered with joy that 4 sisters were now the second generation holding on the boat of 30 years of history: starting from the opening of Dr. Polla’s, their father's private practice. As the eldest of four sisters, I can only relate to the strong bond and passion they share. 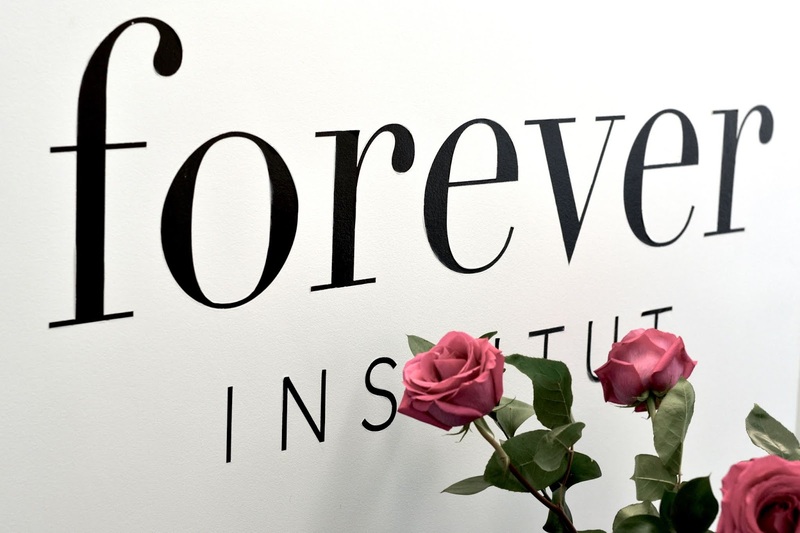 They even recently launched a satellite of Forever Institut in Lausanne, named "Forever Boutique". At the Geneva Institut, at Rue du Rhône 56, there is a wide range of services: consultations, injections, lasers, hair removal, surgery, facial care and more. Dr. Polla's team of therapists, doctors and nurses occupy different part of the Institut with the latest technology in terms of dermatology and aesthetic medicine. When you enter the Institut, one common denominator: their genuine smile, I immediately felt at ease. Second thing, the personalized welcome: they knew I needed a boost after my month of Ramadan so they specifically thought of a tailored treatment. Couture Week just ended but not the memories. Beautiful gowns, materials, models and the cream of the crop of the fashion industry. Naturally, all you want to do is be at your best and for me it's also the chance to go back to classics. And what better than a white outfit for a classic? On my first day of Couture at the end of the day I had two shows and one event with Swarovski. I chose this Lauren Ralph Lauren jumpsuit and paired it with this beautiful Lauren Ralph Lauren bag. I had my eyes on this jumpsuit for a while, the cut is amazing and when you wear it, you feel like a stylish first lady. However I had the sleeves problem. I need sleeves and I can't ruin it with another color. Neither a white top would have worked. I do have a white blazer at home, maybe it would work? The suspense was high until I received my Zalando order. I received it and hopefully, it worked. The material was the same and the outfit seemed to be just one. It was the perfect illusion. That evening with Swarovski, I received many compliments and even had a selfie with Penelope Cruz. If there is something I love as much as make-up is the tool to remove it. I personally don't go to bed unless I have a clean face. Or what I thought was a clean face. I used to cleanse my face with a lotion and my hands only. So I added the Braun Face to my routine to let the technology do the job instead of my hands. As they say "cleanse your face 6x better than by hand" and I must admit. It really did a good job removing foundation or impurities I could not see with my own eyes but I could see the day after on the cotton wool. Plus, the FaceSpa is waterproof so you can cleanse in shower: I didn't have anymore excuse for a fabulous skin. It also have the epilator function but for this I have my deep-rooted wax habit and you know, one habit to change at a time. Maybe with the updated version? A few weeks earlier, I received the Face Spa updated version and directly on the box a message for me "precise epilation removes 4x shorter hair than wax" So I had to wave goodbye to the wax technique at least for once and as you can imagine, it worked. It's a bit painful but not as much as the wax. A pain that I quickly forgot because they added a microvibration head for better application of skin care product and skin-toning effects. Isn't it the perfect package? Cleanse, epilate, apply smoothly skin care product. Now, I wish make-up was that easy. I believe that luxury can be found in the simplest things. A beautiful view, a warm hug, a designer bag and.. a cup of tea. After watching the two seasons of The Crown, I have surprised myself being more attracted by this undoubtedly classy and tasty beverage. A particular brand caught my attention a few months ago during an event at the Ecole Hôtelière of Lausanne : Newby Teas. It is the world’s most awarded luxury tea company and my new favourite joyful sip, with a preference for the Jasmin Princess and the English Breakfast black tea. Based in London, you can find the brand in five star hotels, restaurants, heritage venues as well as online. In Switzerland, they just opened their first flagship store in Gstaad and I was one of the lucky guests to attend the inauguration. Chalet Chitra, Lauenenstrasse 26, CH - 3780 Gstaad. We had the privilege of discovering the most valuable tea pot in the world « The Egoist » (which can hold only one cup of tea) designed by the founder and owner of Newby Teas : Mr. Nirmal Sethia. Valued at up to $3 million, this object is hoped to raise awareness of the historic and cultural impact and importance of tea. It took over 1730 hours of work from Italian jeweller Scavia to do « The Egoist » with diamonds, gold and rubies. The ownership will pass to the N Sethia Foundation which helps fund, among other charitable concerns, The Chitra Sethia Centre for Robotics and Minimal Access Surgery and the Chitra Sethia Autism Centre in Cambridge. When taste, passion and charity meets, it can only be my cup of tea. Discover if it’s yours: here.